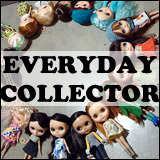 I frequently do wish that I was able to downsize, because I like the idea of a smaller doll collection. If nothing else than for ease of transportation (BlytheLife HQ is moving very soon and it’s all kinds of hectic around here), the ability to easily pick dolls to attend meets or BlytheCons, or to just have a better clothes and shoes to doll ratio. Do you have an ideal collection size? Share your thoughts below! Personally, I like the idea of having a really small collection. 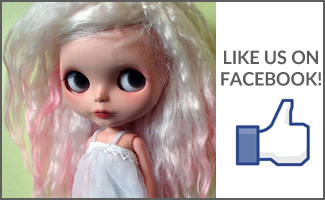 I’m working on getting a second doll into my collection, but for the past year I’ve been happy owning just one Blythe. I think if you make a really good selection that perfectly matches your own unique preferences, you can actually potentially be quite happy with just one or two dolls. Blythes have so much personality, and they can be styled in so many ways, which I guess is why they have much more versatility than your average doll. My solo Blythe has a lot of clothes and hats, and I like that I can just pack her into a single box. I also love the idea of a small collection but with my own collection my philosophy really is more is more. I have about 50 Neo Blythes, 7 Middies, several petites. And then likely 100s of other types of dolls. Haha. I just love clutter and a lot of things (but I am still struggling to find the balance between cosy clutter and claustrophobic clutter). I am trying to concentrate on buying more outfits, less dolls, though. I too like the idea of a small collection. I agree with Hyperballad. I think if I select carefully, sticking with my preferences, then I will probably be happy with only a few. At one time, I sold all my Blythes except for Mondrian, my brunette Kenner, and Pow Wow. I was happy with having one of these hair colors. This was before the influx of rainbow colored hair. I now have three but only one was a calculated (and not impulsive) purchase. 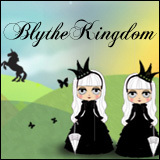 I find Blythe different than other collectible dolls. I don’t need as many. I think it is because they have personality rather than just sitting on a shelf looking pretty. I like my collection, which is relatively small (four Neos, one Middie, one LPS petite). I like that I can regularly give attention to each of them, which I don’t know that I would find the time for if I had a lot more. I do want to get one more Neo, but that might be it for me. 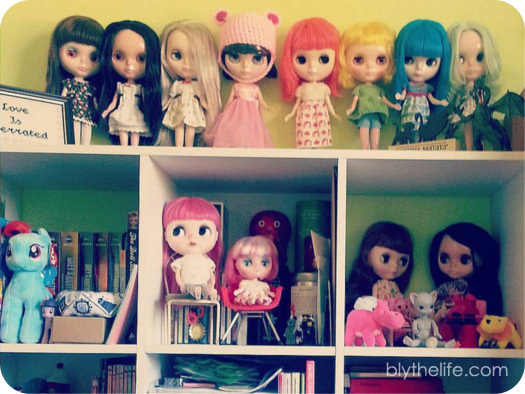 I would like about 30 Blythes in my collection. I own 11 (including 2 middies and 1 petite) and I think I have 20 on my list, which will also probably grow. I love seeing a bunch of Blythes on a shelf, and changing their outfits- but the latter is tricky when I like what my dolls are wearing but still want to dress one; Those are the moments when I think I need another doll. 18 neo, 2 middie and 4 petites. I’m trying to downsize by a few though I think the perfect size of a collection, for me, is dictated by the size of the space they are being kept in. The bigger the space, the more dolls required! Lol!